From www.gargehangover.com: Shreveport garage soul band The Back Alley played there. It was located on Texas Street in Shreveport. Gary Theall- It was on Hwy. 14 between Abbeville and Erath- across from the airport. 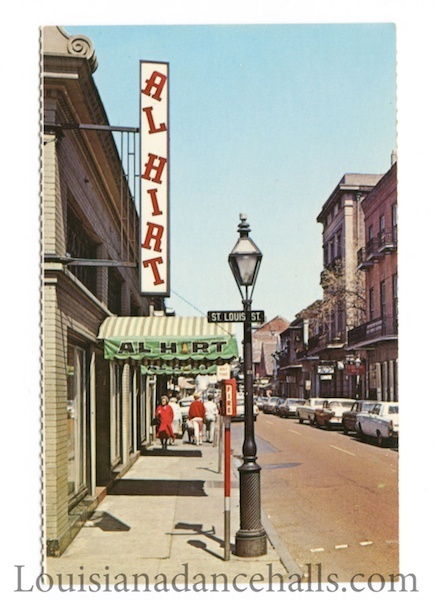 From the New Orleans Jazz History Central Vieux Carre Walking Tour brochure: 501 Bourbon Street: “This location started as the second location for Dan’s Pier 600, then became Al Hirt’s Club, and then Al Hirt’s Basin Street South. Hirt’s group was the house band, but the club was also a venue for good jazz bands on tour. From the New Orleans Jazz History Canal Street Walking Tour brochure: 1001 Canal Street/113 Burgundy Street: Previous location of the Junius Hart Music Company. When JuniusÕ music store relocated, the Alamo Dance Hall moved into the second floor of this location. 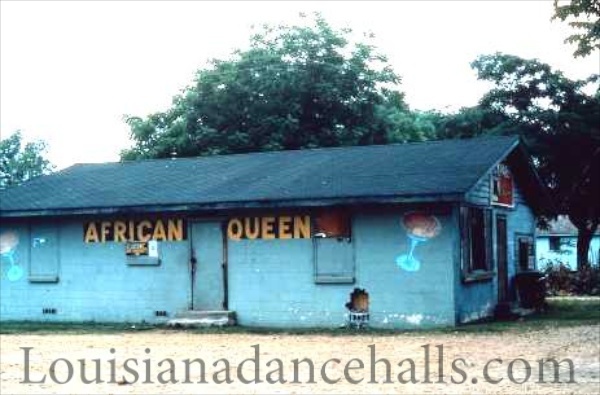 While the entrance was a side staircase on Burgundy St., the dancehall overlooked Canal Street. Many musicians and bands played here including banjoist and guitarist Danny Barker.